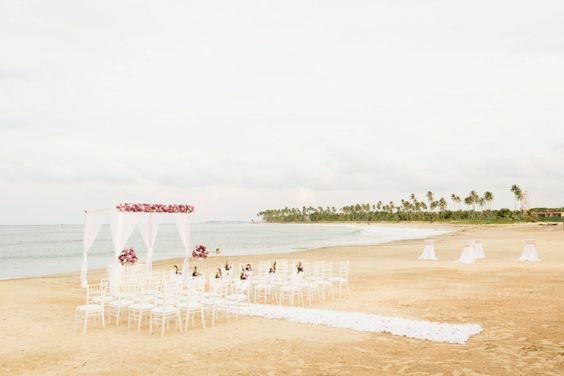 The Now Onyx Punta Cana takes luxury to the next level, situated on a palm tree clad beach along the most Northeastern coast of the Dominican Republic, ideal for a destination wedding. 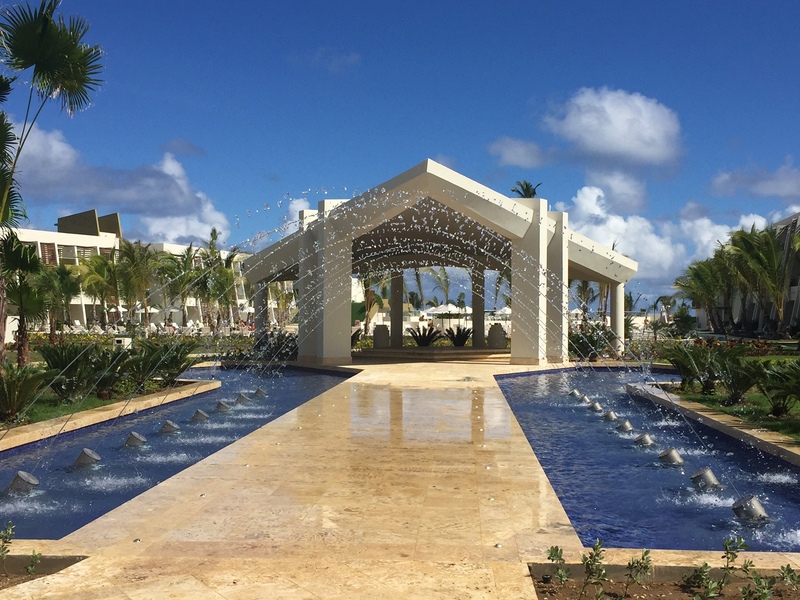 The Now Onyx is the newest Now Resort, with modern decor and a plethora of pools thoughtfully designed, a landscape that’s lush and inviting, and the glistening Caribbean waters just moments away. 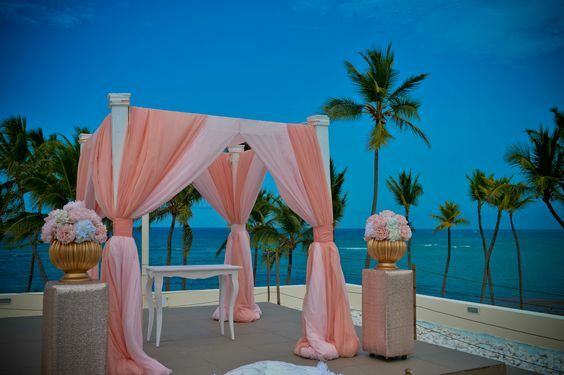 A Now Onyx Punta Cana wedding is best for couples looking for a modern ceremony set in a luxurious tropical setting. Scheduled for completion in December 2019, guests can expect a new family-friendly section of the resort. There will be a new pool complex added, with slides, caves, and an overwater stage. There will be 320 new rooms created, facing the pool complex amongst 2 new buildings. Guests can also expect an expanded main buffet, and two new dining options. Plenty to do for “tweens” and up, but this may not be the top resort for your youngest wedding guests. 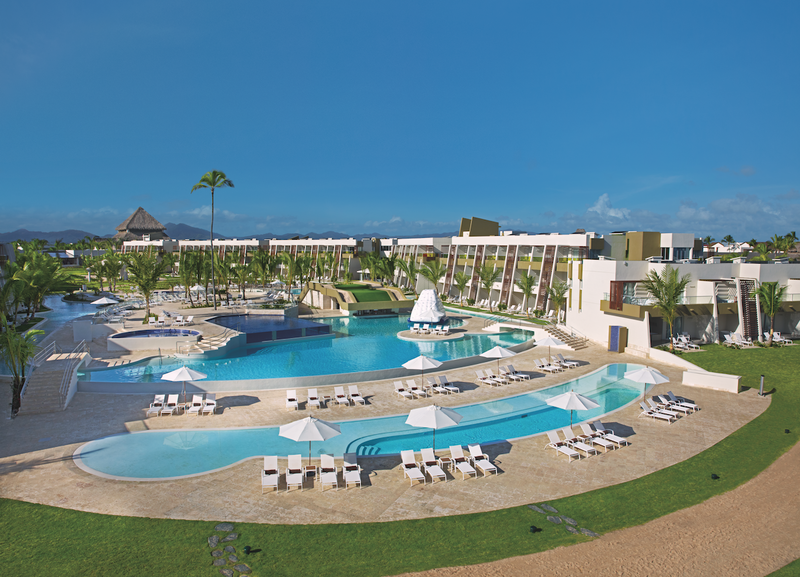 Your guests will also share access to Breathless Punta Cana’s facilities next door. With 16 swimming pools in total, along with the beautiful Atlantic Ocean, your wedding group will have an endless amount of water activities and relaxation to take part in. The Now Onyx is incredibly chic, every bit of decor would stand out for couples wanting a modern ceremony. The Your Moments wedding package qualifies as free if a minimum of 7 nights are booked in the Preferred Club Junior Suite Partial Ocean View category or higher, or if 5 rooms are reserved for a 3-night minimum in any room category. Indian wedding packages are available. Packages have reduced rates during the months of August, September, and October. Upgraded packages, additional guests, and add-ons are available for an additional cost. $150 – $260 average price per person per night. Rooms include whirlpool tub, balcony or patio, and daily restocked minibars. Children 2 and younger stay free. There are 502 rooms with garden and ocean views. 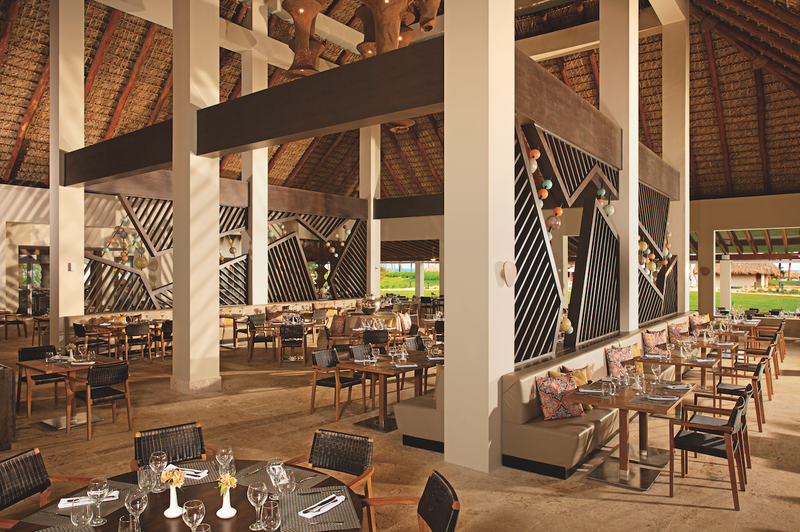 Due to the sprawling nature of the resort, Now Onyx is more recommended for active guests. Beach – 200 guests max, Fountain – 80 guests max, Garden – 40 guests max. This hotel allows a maximum of 2 adults and 2 children 12 and younger per room, or 3 adults per entry-level room occupancy. The Now Onyx can host up to 4 weddings per day across its multiple venues. The resort does their best to schedule weddings accordingly and to provide privacy to each party. The months with the highest chance of sell-out are April, May, June, July. October, and November. The resort is located 26 miles from the PUJ airport. A: 2 and a 1/2 years. A: About 75, not to many as I’m the first contact part of the process, I’m the one in charge of the booking process. A: Our excellent service, kindness and the conditions of our resorts. A: To make their dream come true with the budget they have available, that could be enough, but not always. A: The majority of our couples fall in love with our staff due to the kind of services they offer, and quality of service offered. A: The couples get to rest and vacation while being on their wedding. Also they get to experience a different country than theirs. A: For one couple, there was no rain predicted but at dinner time it started to rain anyhow, and the couple began to feel as if their day was lost. I offered they wait a few minutes, the rain stopped and we dried the chairs and sat up. The difficult part was to prepare the set up to look as if nothing had happened. Finally my wedding couple was happy and thankful. This is the most beautiful and exciting part of this job, when you know that you made their dream come true.